A traditional oak-beamed cottage, in parts dating back 300 years, in a rural village setting, sleeping up to eight people in four bedrooms. The accommodation also comprises two bathrooms, two reception rooms (including one with an open fire), a kitchen with large dining area, a downstairs cloakroom and two charming courtyard gardens, including one with a gas BBQ. 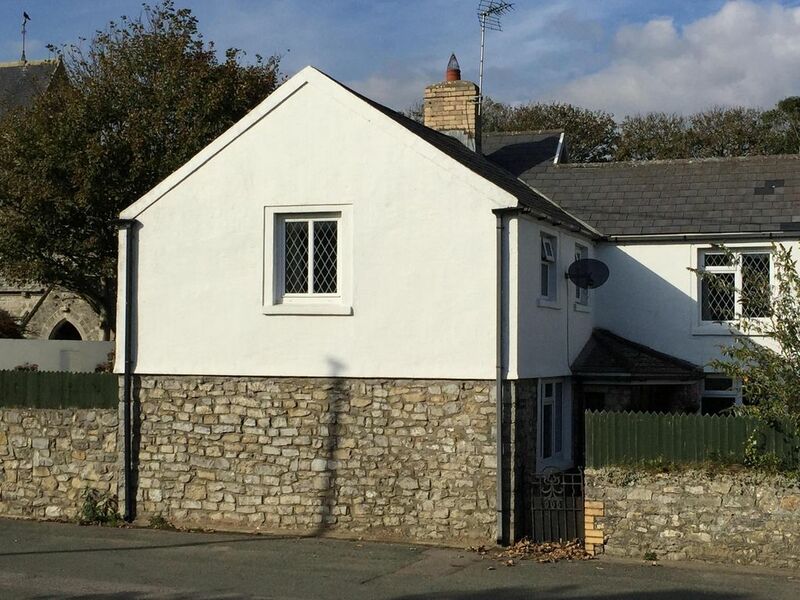 Set in the beautiful and historic Vale of Glamorgan, Ty Gwyn is in the heart of the village of Wick, with its medieval church, village shop, post office, village green and its two traditional country public houses. The cottage is close to the Glamorgan Heritage Coastline (a stunning section of the Welsh Coast Path), beaches and other activities. Cowbridge, an attractive market town, is a ten-minute drive away, with the historic town of Llantwit Major being only a five-minute drive. The house is within walking distance of the coastal path and is in a great location to participate in a range of activities, including horse riding, mountain biking, walking, cycling and surfing, with the sandy beaches at Southerndown, Llantwit Major and Ogmore only a short drive away; there are four golf courses within a 15-minute drive. Further afield, there are easy routes to Swansea and the Gower Peninsular, Cardiff and the south Wales valleys. The house is fully equipped to modern standards and is ideal for families wanting either a quite break or an activity-based holiday. Only fifteen minutes from the M4 and easy access via the main rail line into south Wales; Wick is also served by regular buses which run via the coastal villages to Bridgend, Barry and Cardiff. Huw grew up in a coal-mining valley north of Port Talbot but also knew the Vale area well. So when the opportunity came to purchase a second home in the area, we jumped at the chance to spend more time in such a beautiful and unspoilt area of South Wales. We have three children and live and work in Greater London but going to Ty Gwyn as often as we can. Sheets, duvet covers, pillow cases, bath towels, hand towels and tea towels but not cot linen. In utility room and the courtyard has a large rotary dryer. Space for one car in the larger courtyard; ample street parking; parking possible outside primary school opposite during holidays, weekends and evenings. Separate fridge and freezer in the kitchen; fridge/freezer also in utility room. Adjacent to the kitchen; high chair available. Two courtyard gardens with tables and seating, and lots of planers and pot plants. Some floors are slightly uneven and there are changes in floor level from room to room; there are also some low ceilings and beams - tall people beware! The stairs are straight and not steep, with a substantial bannister. Although there are some different floor levels upstairs also, the two bathrooms have step-free access from three of the bedrooms. Great stay and the host was quick to respond to emails and very helpful. The perfect property for a family and friends, New Year break. We absolutely loved this beautiful house. It was homely, comfortable spotlessly clean and had everything we needed for our stay. There were 8 in our party, four adults and four children, and there was plenty of room for us all. The two lounges were really useful as the older children were able to use one lounge to chat, watch TV, listen to music etc. The kitchen is really well equipped and there was plenty of bedding, towels etc. The local area was beautiful to explore and there are fantastic beaches nearby. We had a meal at the Lamb and Flag and would highly recommend it. We’ve already passed the property details to friends and would definitely visit again ourselves. A lovely village, not such a great house! We stayed at the property last year as we had a job locally. The guys liked the village, although we had issues with the heating and the gas fire didn't work. We got more work in the area and as the guys liked the village, we decided to rent again. Mistake! When we arrived, we were given the wrong entrance code and none of us had a phone signal to contact the owner. We ended up spending about 20 mins to get into the property by trying to guess combiniations. Once in , the house was cold and it remained cold during our stay and when we put the heating on, not one of us slept! The heating is extremely noisy. We were staying with work and didn't read the information book properly, which apparently states that the renter of the house is responsible for cleaning the towels and stripping the beds, something I personally have never done when staying in a house (even this house, when we stayed the year before). One of the guys left a can and a bottle of drink in the room and we were accused of smoking in the rooms (all of us are non-smokers), we also left the washing up on the draining board. As a result, we were charged £50! I did dispute the claims and was told that the charge would be reduced to £20. Still a rip off. We had to wash up a couple of the pans before we used them and we had to buy a bread knife as there wasn't one in the house. When we highlighed this, we were told that there are many knifes in the property and a sharpener so we could sharpen a knife ourselves! I would avoid this house. Please note how this Review contrasts with the other 22 listed here to date. We were not alerted to any problems during their first stay; the house was so awful that they decided to return 10 months later! There are several factual inaccuracies in this Review. Also, it does not describe our attempts to reach an amicable arrangement over the problems they caused. Needless to say, we shall not be renting to this company again! PS We will purchase a new breadknife! A beautiful house, with everything you need in a lovely spot! Myself and my family had a lovely time and the house is lovely! Very comfortable, clean and a great location. Lovely house with all we needed in ideal location. Highly recommed. The house is comfortable and well positioned to enjoy the lovely coastal countryside which includes sites of scientific interest (not forgetting the Lamb and Flag). All the facilities that you could reasonably expect are present in the house. The house has everything needed for a self catering holiday. It is comfortable - good beds and settees - and a great courtyard outside to sit when warm - including bar-b-que. Good to have two bathrooms. Parking was easy and the 303 is an excellent bus service from Bridgend and further south. Only improvement we could think of is a better or second router for the WiFi. Sue has point about the WiFi signal being weak in parts of the house - there was no WiFi 300 years ago when the house was built! We have since purchased a WiFi Range Extender and it seems a lot better. Our children at least will be pleased next time they visit!